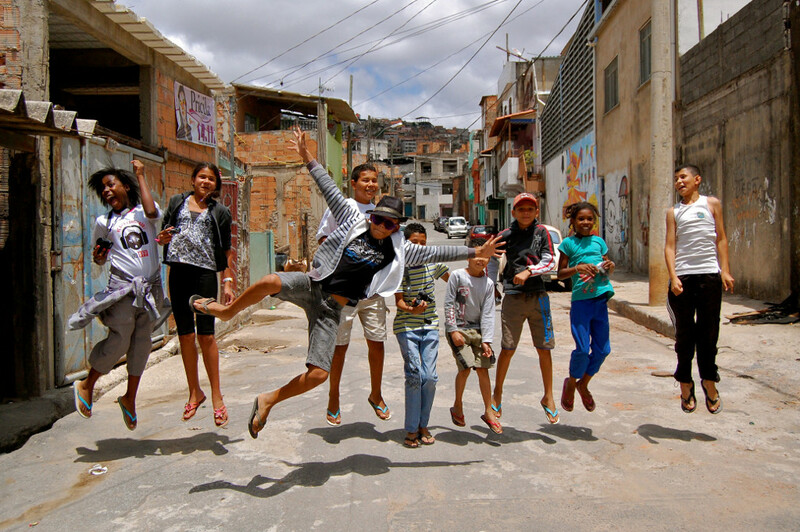 As 2014 draws to a close, Catalytic Communities would like to express huge thanks to everyone who has made our work possible during this important year for Rio and its favelas. 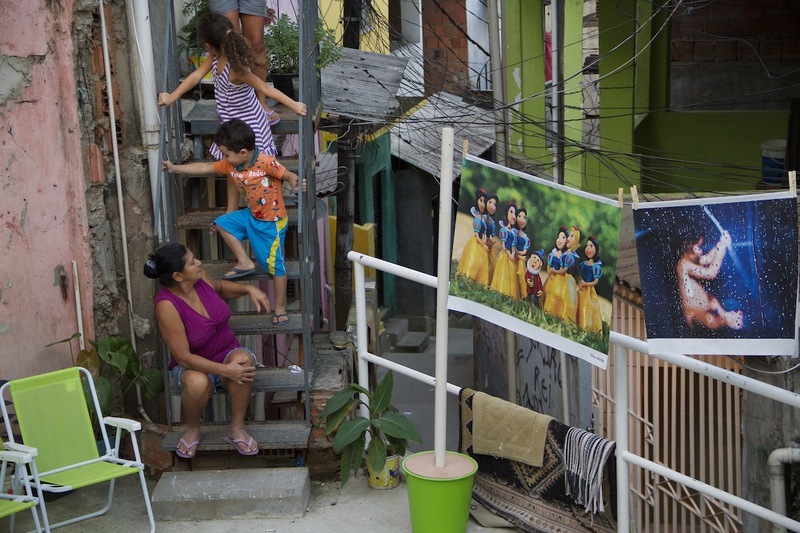 The World Cup brought unprecedented international attention to Rio’s favelas and CatComm has continued to work throughout the year to shape the local and international debate and amplify community voices and perspectives through a range of projects strategically designed to advance the possibilities for participatory, sustainable development models for informal communities worldwide. 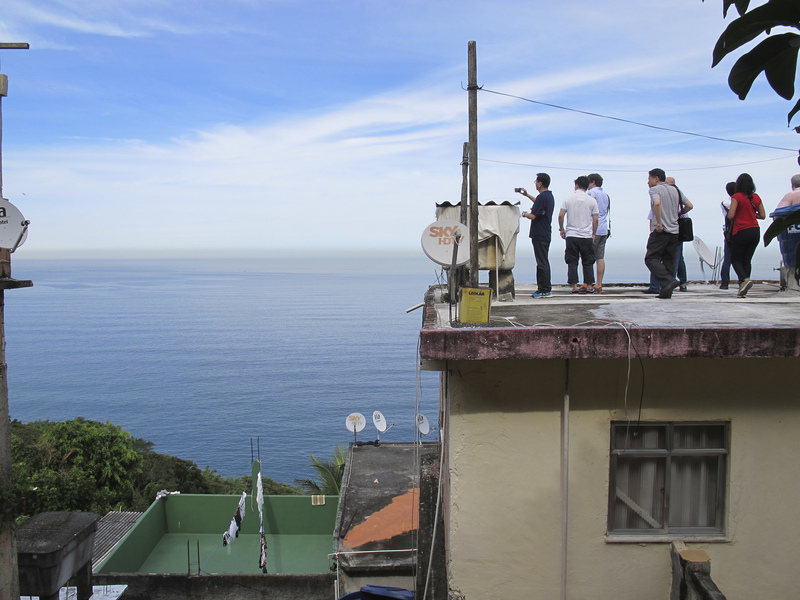 Here we take a look at CatComm’s highlights of 2014, a year which has seen us expand our RioOnWatch project into a dynamic news portal, advance the favela gentrification debate on the community and international levels, and shape the media coverage of Rio’s favelas on a global scale. 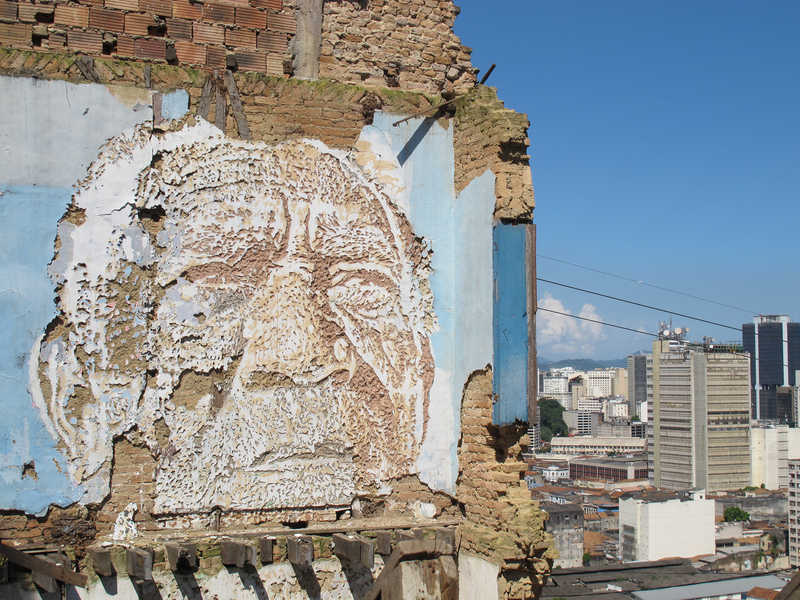 However, human rights abuses and forced evictions escalate as preparations for the 2016 Olympics gather pace and our work supporting Rio’s favelas has never been more critical. Please help guarantee our essential work through the following year and make a donation. Note that everything listed here was accomplished on a budget of less than $100,000, thanks to 9600 hours of intern time, in addition to over 100 volunteers, translators, collaborators, and our dedicated staff of four. Launched new RioOnWatch site–In June, CatComm launched the new RioOnWatch site as a full news portal and archive in time for the 2014 World Cup in June. 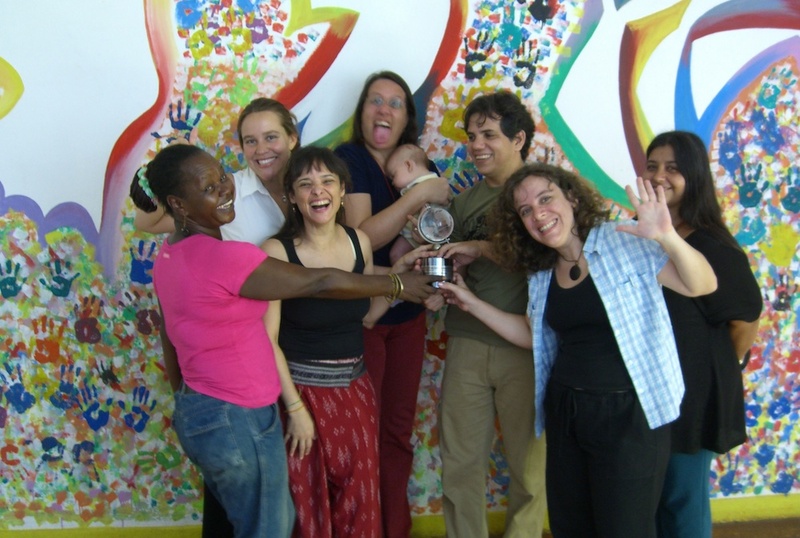 Having grown from a small blog platform for our community journalism students’ work in 2010 to an internationally recognized favela news and research source today, the new site was developed to make the breadth of contributions from community journalists and international observers on the urban transformation of Rio fully accessible. 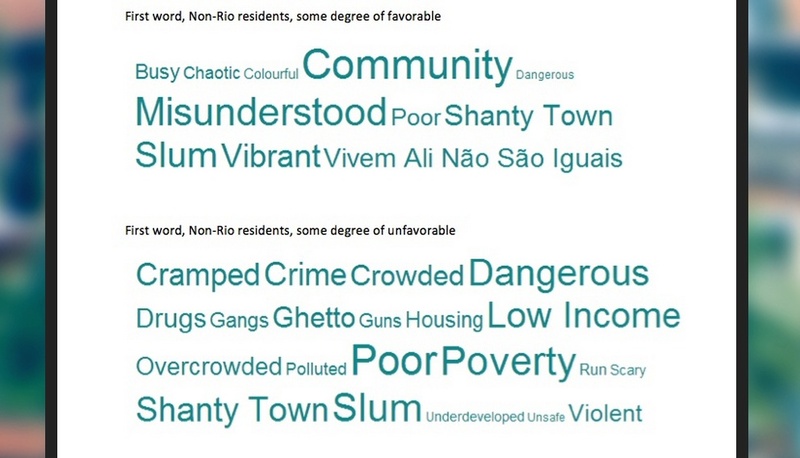 Since its launch in 2010 RioOnWatch has documented the rapid change taking place in Rio’s favelas in nearly 1000 articles and is now showing how hyper-local news can change the world. Between January and November this year alone, RioOnWatch published 327 articles in English and Portuguese and the site reached a record number of 28,062 readers during the World Cup month and following the new site launch. Matching the growth in readership, our social media reach leaped from 76,412 in January to an all time high of 236,000 in June. 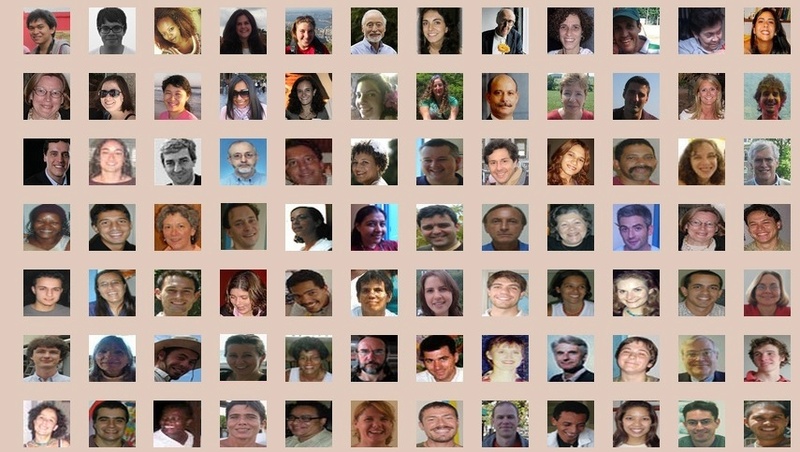 Since the project’s inception in May 2010, RioOnWatch has published contributions by 269 writers and 44 translators and this year alone has published work by 89 writers, including seven original articles by community journalists and 13 translated community reports. 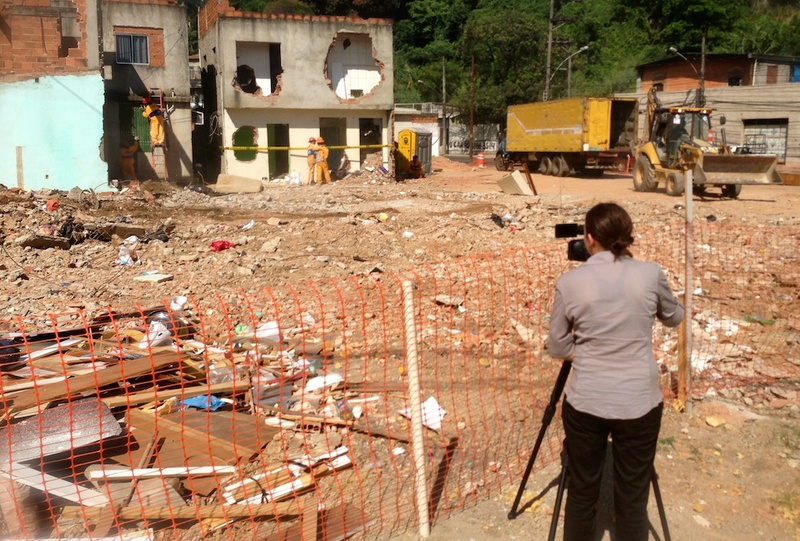 World Cup Journalism Strategy–With tens of thousands of journalists coming to Brazil to cover the World Cup, CatComm developed a strategy to engage with reporters and facilitate and encourage accurate, constructive reporting on Rio’s favelas. We published news and in-depth analysis on issues related to the World Cup in the lead up to and during the tournament, as well as articles highlighting the media’s role, including an article entitled ‘The World Cup of Lazy Journalism‘ which received over 1,500 Facebook shares. 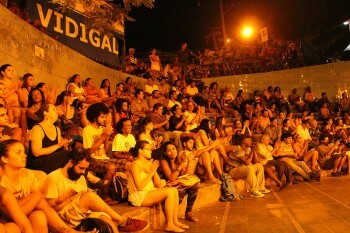 To facilitate and encourage connections between the international media and local community leaders, we compiled a contact list of 50 favela leaders prepared to receive journalists which was circulated among international reporters in Rio and led to at least 18 direct connections between journalists and community leaders. We also provided information, support and contacts to media outlets covering issues related to mega-events, human rights and the favelas including the BBC, Al-Jazeera, The Nation, New York Times and ESPN, as well as conducting a social media campaign using the hashtags #RioCupWatch and #EndFavelaStigma evaluating the intensive and varied reports on Rio’s favelas. 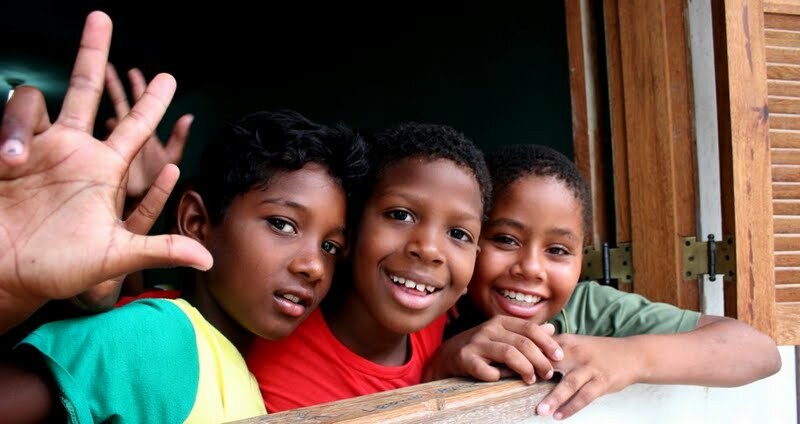 Media Monitoring and Shaping the International Debate through Media–In a year that has seen unparalleled international interest in Rio’s informal communities, CatComm has continued its work throughout 2014 to shape the international perception of favelas through media. Our World Cup Media Strategy (see above) was an intense campaign to magnify and expand the debate surrounding Rio’s favelas. 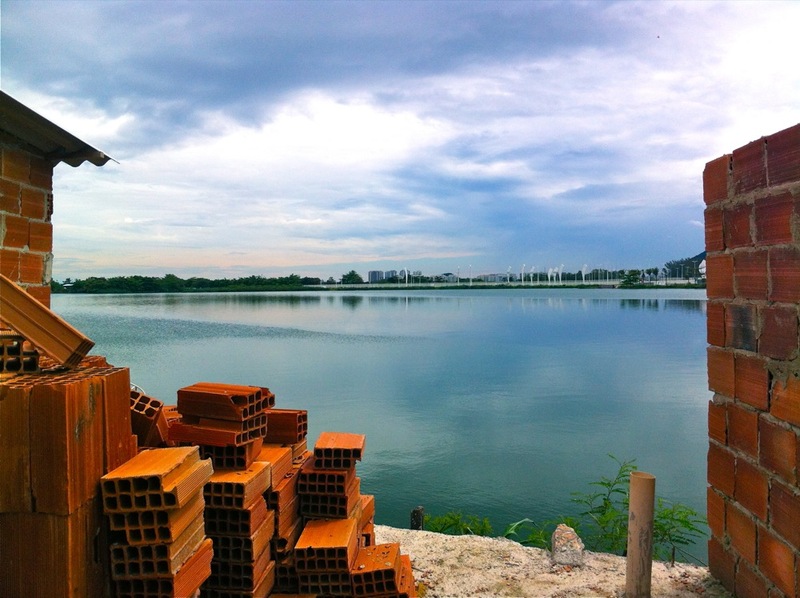 Throughout the year we have worked with journalists from around the world to produce accurate, nuanced reporting on communities in Rio and have monitored all media coverage, calling out unproductive, stigmatizing reports. 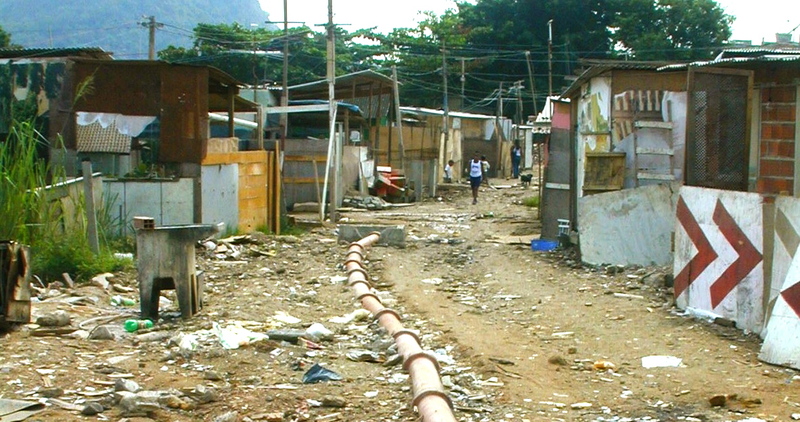 One visible example of this strategy took place in July following a report by the UK’s Birmingham Mail comparing the poor conditions of crowded student accommodation to a “Brazilian slum.” We published a response piece highlighting the error of this stigmatizing and inaccurate comparison on RioOnWatch, which was then reported by the Birmingham Post (sister title of the Birmingham Mail). 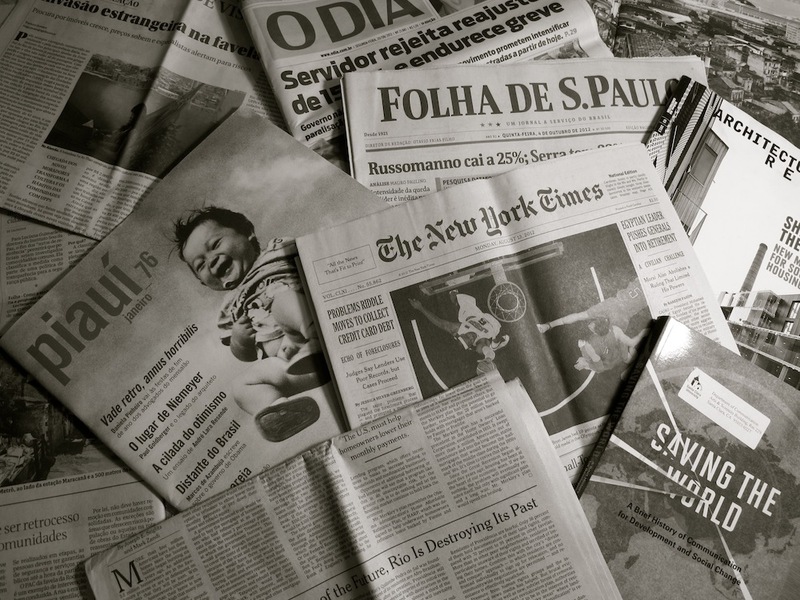 Alongside the ongoing tracking of favela representation in the international press, we have commenced a media monitoring research study to track trends in mainstream American and British online newspapers’ reporting on Rio’s favelas from 2008 through 2014. The results will inform our media strategy moving forward towards the 2016 Olympics and will be publicly available in a report to be published in February 2015. 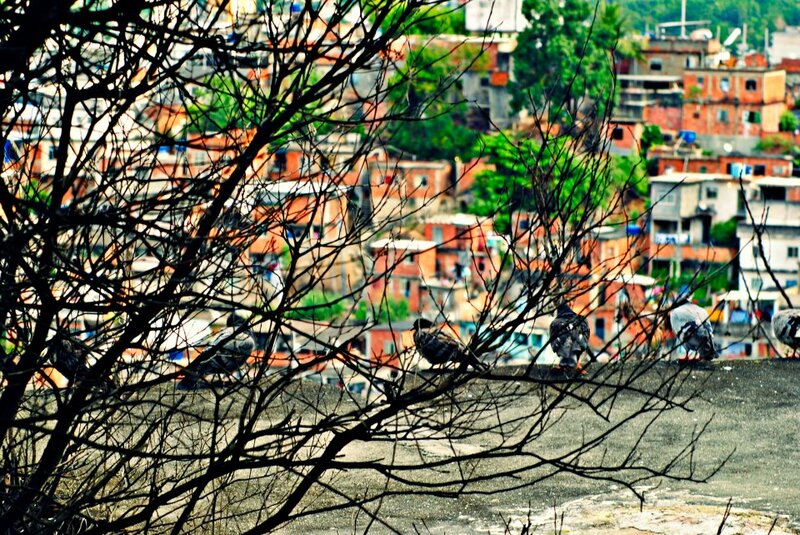 Favela as a Sustainable Model–CatComm’s work promoting and encouraging the case for favelas as a sustainable model expanded this year with international collaborations and ongoing communications work via the incipient Rede Favela Sustentável (Sustainable Favela Network) Facebook page, a community space to exchange information and experiences with the objective of recognizing and strengthening the idea of favelas as a sustainable model. The page stimulates and grows the debate, sharing best practices, innovations, community experiences and events news. This year, CatComm partnered with Criterion Planners, a Portland firm founded by Eliot Allen, co-creator of the LEED-ND (LEED for Neighborhood Development) official sustainability certification program for green neighborhoods, and the community of Vale Encantado to co-design a workshop for the Greenbuilding Conference in São Paulo in early August which proposed upgrading favelas with sustainable technologies. 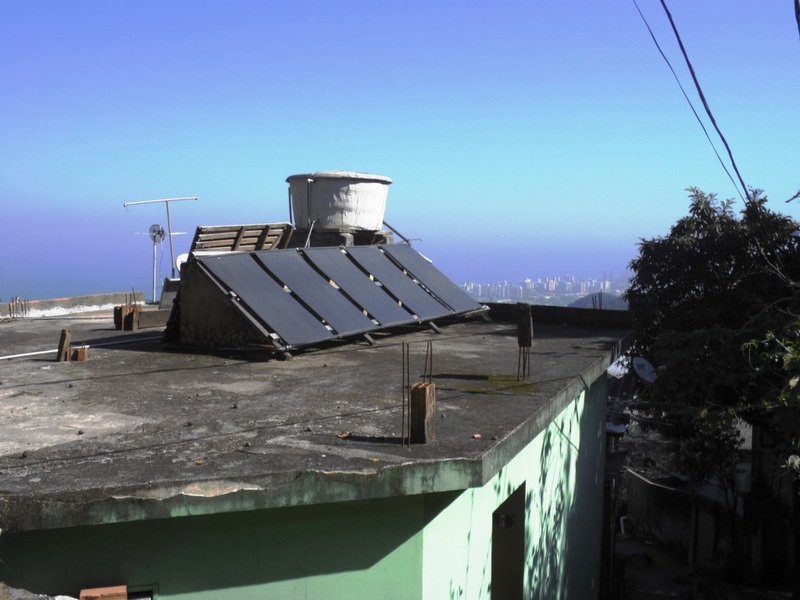 We also continued our partnership with Solar CITIES, an organization building biodigesters in favelas with work and visits to the favelas Vale Encantado, Complexo do Alemão and in Niterói. 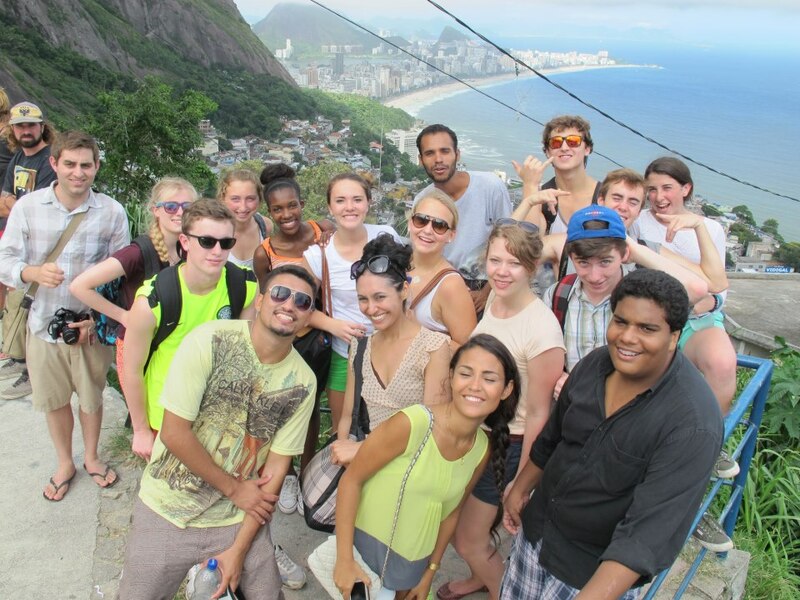 University Talks & Public Speaking–In Fall 2014, CatComm’s Executive Director, Theresa Williamson, gave talks at universities across North America which provided insight into the dynamics currently at play in Rio de Janeiro today and CatComm’s work supporting the city’s favelas. Six different presentations were available, looking closely at mega-events in Rio, community organizing, sustainability, housing, social entrepreneurship and strategic communication through hyper-local-global journalism. 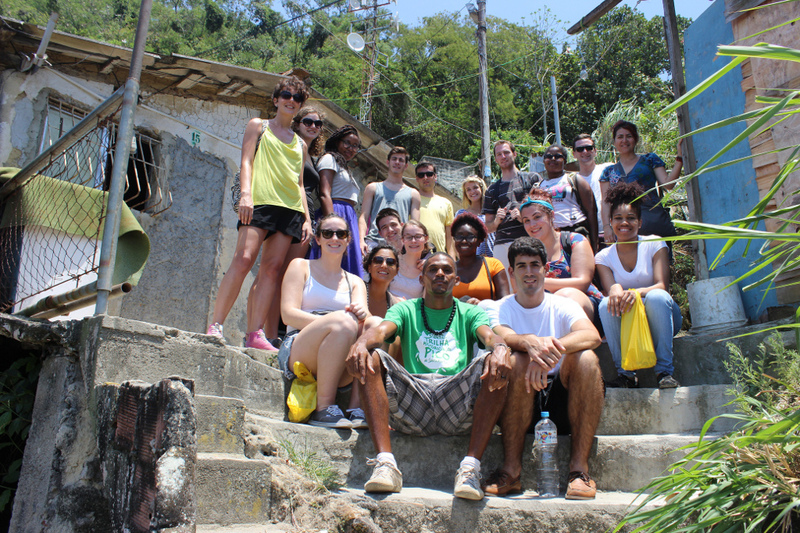 Between September and November, Theresa spoke and engaged with students at Augustana College, Planner’s Network–CUNY, University of Maryland, University of Colorado–Boulder, University of Wisconsin–Madison, The American University, Vassar College, Syracuse University, Ramapo College of New Jersey, Pomona College, Wellesley College, McGill University, Pacific University, and Goucher College. Beyond these university talks, CatComm has increasingly been called on to speak on these topics at debates and functions. 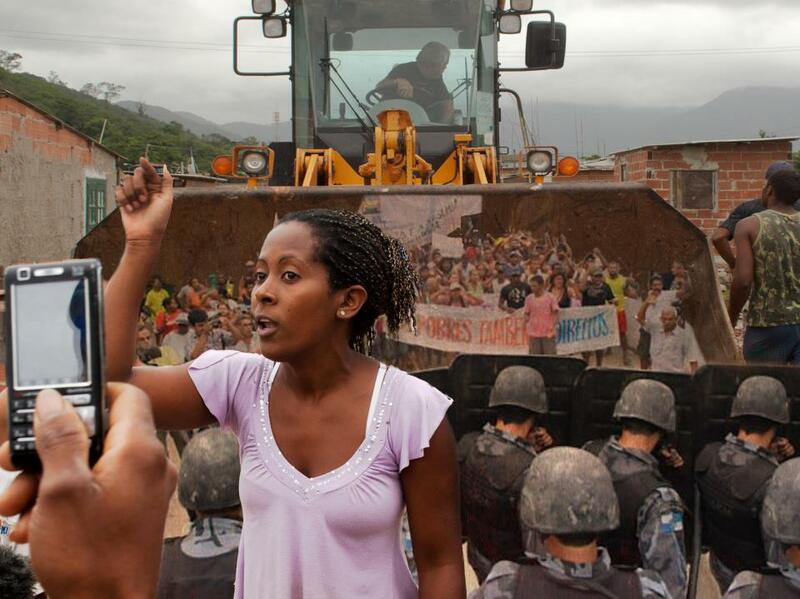 This year, Executive Director Theresa Williamson has become a regular lecturer at CIEE student and faculty seminars, two gentrification debates in Vidigal, a gentrification debate in Formiga organized by newspaper O Dia, on Brazilian radio, US radio, UK radio, TV in various countries, for the International Human Rights Funders Group, the International Reporting Project, and the Greenbuilding conference, as well as the Igarapé Institute (in this case on the subject was the UPPs and police role in favelas). For the full list of CatComm Media Mentions click here. 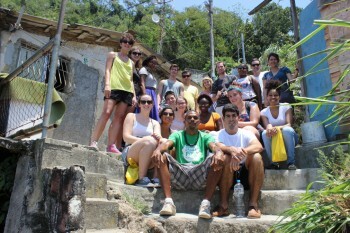 Educational Community Visits–CatComm facilitated 12 educational community visits on behalf of major international universities, organizations, journalists and learning institutions this year, giving participants a unique, community-led insight into the favela. 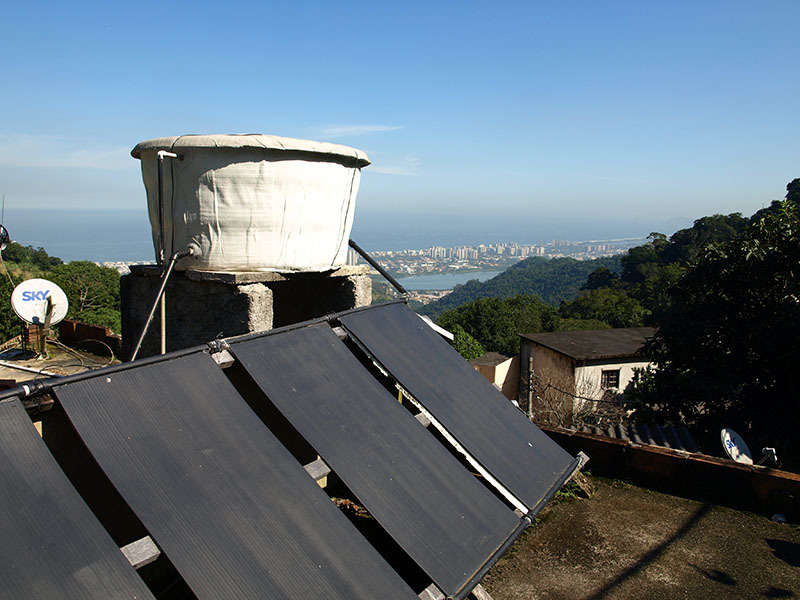 Highlights of the program this year include taking ten reporters to Providência with the International Reporting Project in April which resulted in several articles in the international press and Solar CITIES’ research visits to Muzema, Vidigal and Alemão in March. 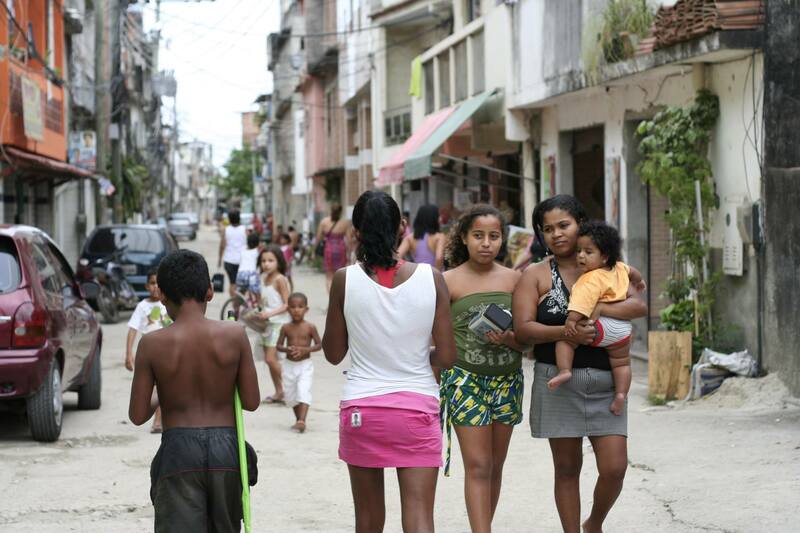 Research & Series–In 2014, CatComm continued expanding the knowledge and analysis of the dynamics of Rio, supporting researchers and publishing a wide range of in-depth, research-led articles and series on RioOnWatch, including on Morar Carioca, Rio’s quilombos, public space in favelas, translating ‘favela’, global slum stigma, the history of Rio’s Military Police, community media in Rio, favela tourism, voices from social media and a series of contributions for Blog Action Day 2014 on the theme of inequality in October and Brazil’s Black Awareness Month in November. 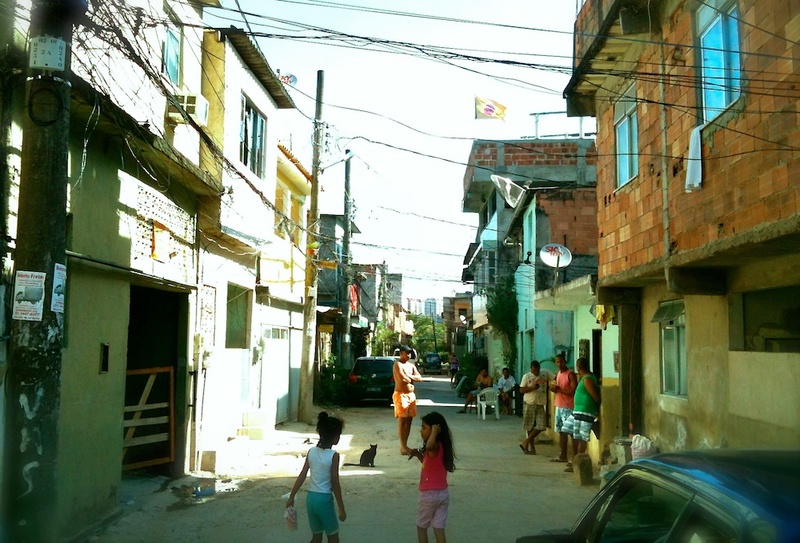 Our research and RioOnWatch publications have consistently sought to push forward the debate on policies affecting favelas and the urban transformation of Rio, with articles this year providing in-depth critiques of policies including Minha Casa Minha Vida, Pacifying Police Units (UPPs), Morar Carioca and the Bus Rapid Transit lines. 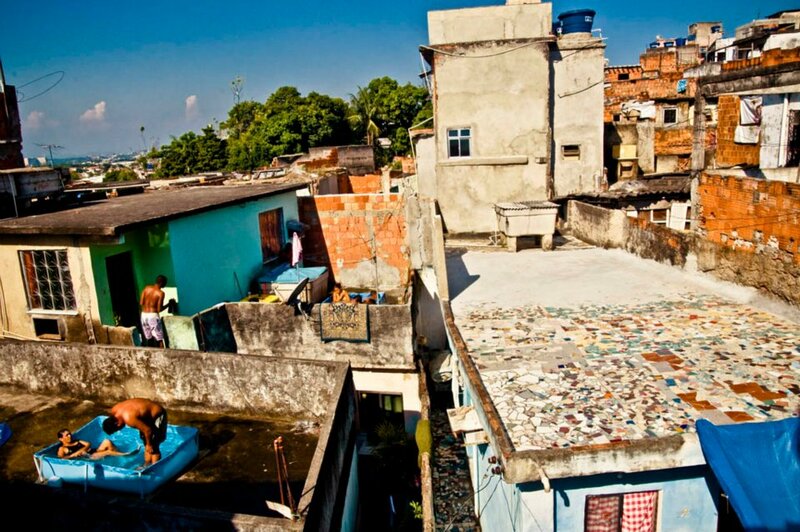 Favela Perceptions Survey–Our 4th annual Favela Perceptions Survey was more comprehensive than ever. 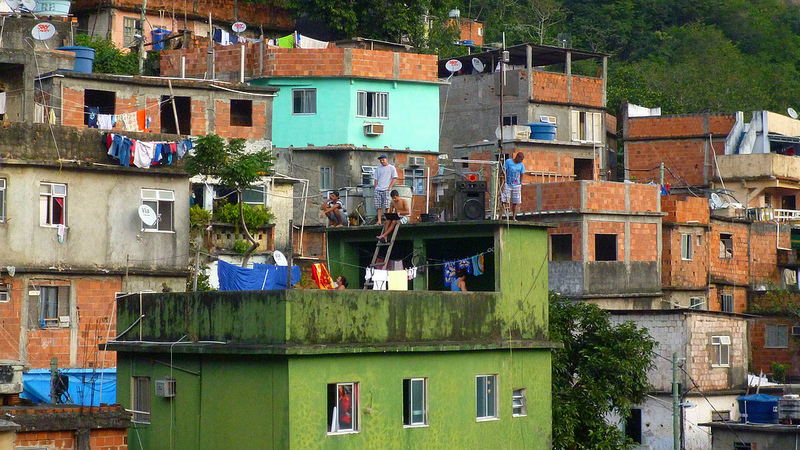 Covering 9 cities in 4 countries [Boston, Copenhagen, London, Los Angeles, Miami, New York, Rio de Janeiro, San Francisco, and Washington DC], 1111 people were interviewed regarding their perceptions of favelas, primary go-to media sources, and how their views were affected by the World Cup. Results will be published in February, 2015. 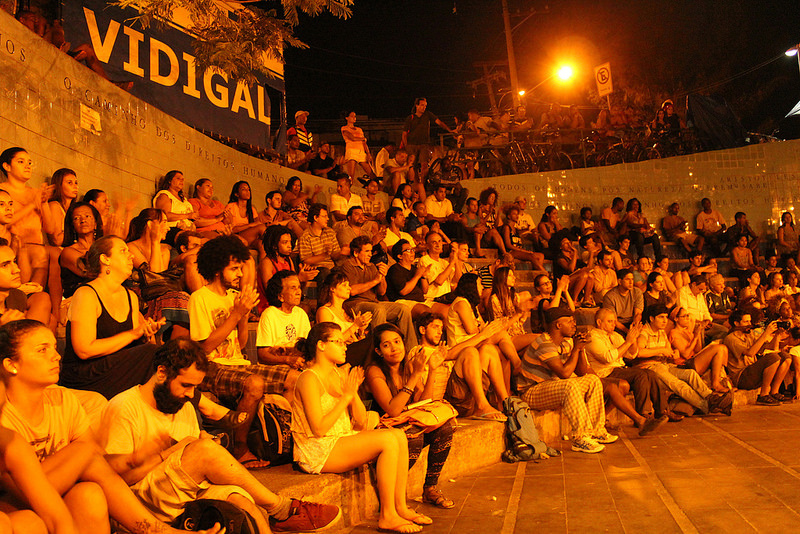 Establish a network of community correspondents in all five major zones of Rio, writing and producing video further documenting this challenging period for Rio de Janeiro, and syndicated for republication through local and global partners. Grow RioOnWatchTV, our YouTube channel, with regular accompanying videos to RioOnWatch articles and investigative pieces. 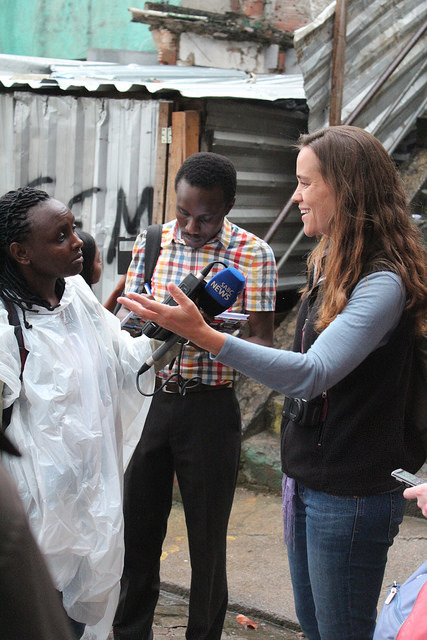 Expand our strategic communications work on behalf of favelas, taking our destigmatizing message of favela qualities and sustainability to global audiences through mass-reach mainstream media channels. More strategic workshops for communities about community organizing and participatory planning strategies, and ways to counter the negative effects of gentrification and evictions. Conduct and publish cutting edge research on Brazilian housing law, Affordable housing alternatives, Rio policing, Favela Perceptions, and Media responsibility.